Instalent, the Collaborative Network of Independent Tech Recruiters is named to Top 25 Companies in the 2017 Europe Startup Program by Startup Grind. 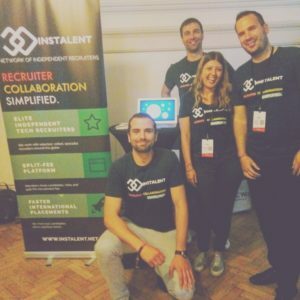 Instalent is an online platform, that connects independent tech recruiters all over the world, so they can collaborate, share candidates, roles, and make faster international placements together. They announced the induction of the Top 25 companies to the 2017 Class of Startup Europe Program. The Startup Exhibition recognizes the Top 25 companies handpicked from 80 countries, 200 cities around the world. Startup Grind Startup Exhibition companies are an elite group of companies whose founders range from serial entrepreneurs to former national journalists. Startup Exhibition companies are given access to our global audience through media and onsite at the annual Europe Event held June 14th at historic Central Westminster Hall in London, UK. The exhibition helps companies to accelerate their pace towards growth and success by gaining the visibility of mentors and investors in our network. “Exhibiting and pitching in front of 2000+ likeminded entrepreneurs, Investors was a great opportunity for the Instalent team. We had the chance to meet lot of interesting people and to build new connections. 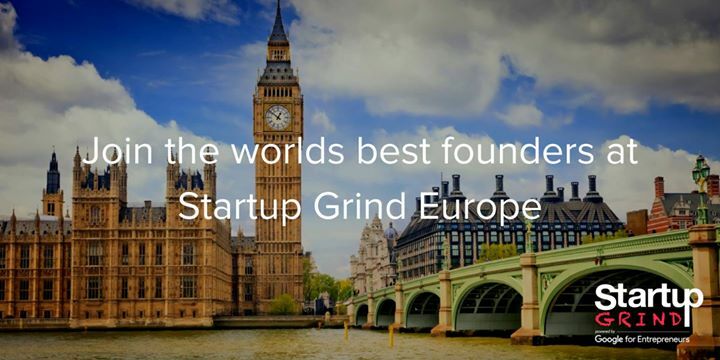 Startup Grind Europe is an event that shouldn’t be missed by any entrepreneur and startup founder.” says Peter Medgyesi, Founder of Instalent.